Growing an organic garden has multiple benefits. According to Good Housekeeping, it helps the environment, and reduces pesticides. Gardening organically means you don’t use any chemicals or synthetic fertilizers. But, the tools you use will easily take the place of these toxic materials, and increase the health of your crops. You’ll need good clippers, an ergonomic trowel set, rich soil, compost, and environmentally-friendly gloves. Plastic ones are not environmentally-friendly. Once, you have these tools; make sure your soil has the proper nutrients to help the plants grow strong. Then mix in compost, and leaf clippings. If you choose manure, make sure it comes from organically-raised livestock, or you can compost it. Next, you need to choose the right plants. The decision should be based on your neighborhood’s climate. You can usually find the best options for your location at your local farmers’ market. Choosing the best area for your garden is also key. According to the DIY Network, you should look for a sunny spot that has access to water. These two elements will ensure that your soil is healthy, and rich. If you have a large garden, you should consider dividing it into squares, leaving two feet between each section. Doing this creates deep mounds that you can walk around. Consider how a farmer plants crops. It’s the same concept. You can also apply 2 inches of straw over each row to help prevent weeds. Caring for your garden is just as important as what you put into it. According to Planet Natural, there are several things you can do. First, if you don’t rely on sprinklers or any other drip system, water your garden in the morning. It will increase the amount your crops receive. Because the sun hasn’t been out for a while, there will be less concern for evaporation. You’ll also reduce mold and mildew. Next, remember to keep an eye on your garden’s pH levels. If you remember from chemistry class, 7.0 is right in the middle. Anything lower is acidic, and anything higher will form a base. Going in either direction too much can be unhealthy for your plants. Keep an eye on those pests. Healthy plants will be more apt to repel them. But, in order to help your cause, consider adding deterrents like slug traps. You should also consider using a greenhouse. According to Mother Earth News, you can either purchase one or build your own. While buying one can cost a lot of money, you can build one with lumber, and storm windows. Plus, you can put it anywhere your personal space permits. Of course, if you’re going to build one, remember that sunlight is essential. So, make sure the structure is sturdy enough for storms, and snow. But, it should also allow the sun to come through during beautiful weather. The roof should also be clear. Therefore, glass, Plexiglas, fiberglass, or plastic are your best bets. For the rest of the greenhouse, you can use either metal or thick wood. The reason to use thick wood is to make sure that it is proportioned wider, and thicker. This provides equal strength per foot run. Wood framing also loses less heat. However, the benefit of metal is that it admits more light, and less shadows, which is great for your growing plants. Growing your own organic garden has several benefits. It allows you to grow healthier food without the fear of pesticides, and other chemicals. But, it also helps the environment because you are using natural resources to grow your crops. Whether you grow an outdoor garden, or use a greenhouse, your plants should benefit from lots of sunshine, and water. 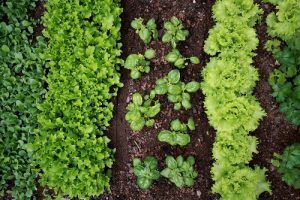 As long as you maintain your garden, and follow these steps, your garden will produce healthy crops for years to come. Uma Campbell is a yoga instructor and freelance writer living in Southern California. She enjoys writing about gardening, meditation, natural medicine and home design. Her interests include home decor, yoga, crafting and running. You can follow her on Twitter @umajcampbell.